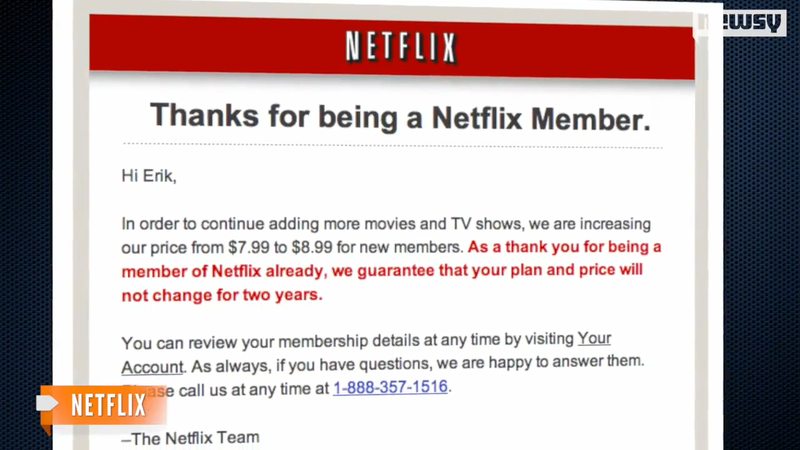 Netflix originally raised its prices about a year and a half ago to $9.99/month from $7.99/month. Existing customers weren't affected since the company allowed those already paying $7.99/month to continue paying at that rate, to keep in good standing with their loyal customers. But as it goes with all good things, this one is about to come to an end--Netflix is pumping the breaks on the gravy train for its oldest and most loyal customers. Beginning May 2016, all existing customers will be billed $9.99/month, regardless of when they joined the subscription service. The customers that the price jump will directly affect account for about 37 percent of all Netflix subscribers, or roughly 17 million people. That would make quite a lot of angry customers if the change occurred unexpectedly. Unfortunately, for about 13.6 million of those users, it will. Most customers didn't exactly read the fine print that let them know their subscription price wouldn't change...for two years. According to research from JP Morgan, nearly 80 percent of users who will be affected by the change were completely unaware it was even coming next month at all. Fifteen percent also claimed they'll cancel their subscription in reaction. The new universal price jump for Netflix subscribers will now make it a more expensive streaming service annually than an equivalent subscription to Amazon Prime. Though Netflix customers definitely have to weigh out their options as of May, we're sure that their most loyal binge-watchers won't mind paying up a couple extra dollars each month to continue doing what they love doing every Sunday.